If you have ever encountered a problem with cockroaches at home, then you know they are a real trouble! They can be highly nasty and difficult to repel, and they keep appearing all over the house and hide in dark places during the night. Despite being disgusting to scary to see, they can also carry numerous dangerous diseases. There are numerous products offered on the market to use and get rid of cockroaches, but they are expensive, full of harmful chemicals which endanger health, and do not provide permanent results. Therefore, we are revealing a natural and safe way to eliminate cockroaches from your home for good! Borax is definitely a “must” when it comes to eliminating roaches and keeping nasty bugs away from your home. Borax literally dehydrates the exosceleton of insects, and damages their digestive system. Eventually, bugs die and your home will be bug-free again. Make your borax bomb even stronger by adding sugar. 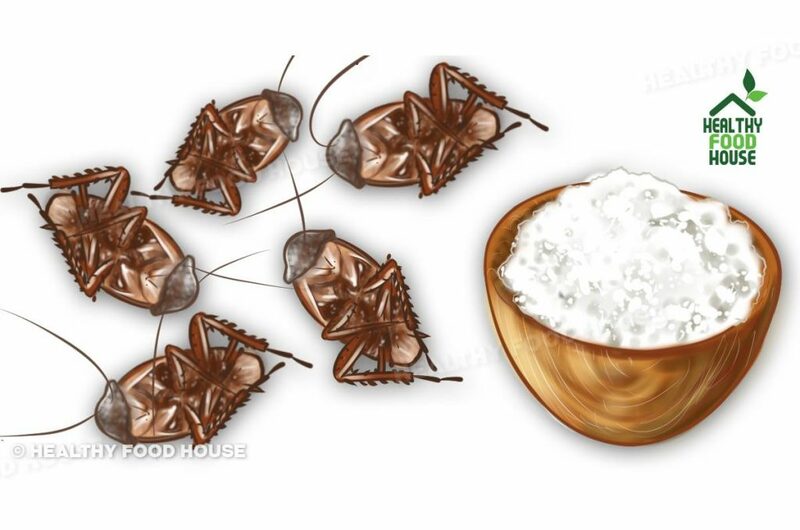 Roaches are attracted by the sweetness of the sugar which makes it easier for you to trap them. Combine borax and sugar in a 3:1 ratio. Spread the mixture alongside affected areas, and don’t forget to wear gloves while doing it. Next morning, you’ll see the dead roaches lying around, and all you have to do is clean up the mess. Do the same after a few days. Some like to use baking soda or boric acid instead of borax. Caution: Avoid using this anti-roach combo if you have small kids or pets.